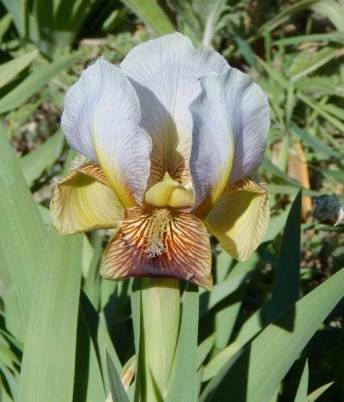 Welcome to Telperion Oasis, Tom Waters's web site devoted to the theory and practice of hybridizing bearded and arillate irises. Since the middle of the 20th century, iris enthusiasts have been aware of the importance of chromosome configurations in iris breeding. Some configurations have limited fertility, while others constitute "fertile families" that can be developed and refined by multigenerational breeding programs. 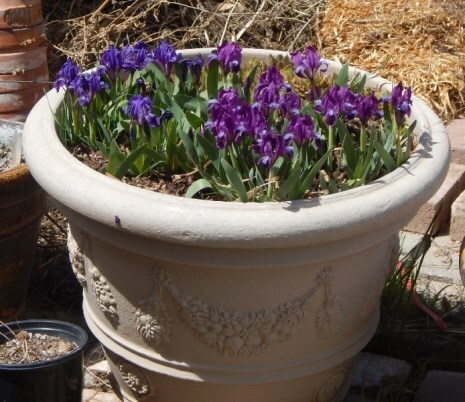 Within each of the groups, the irises are generally fertile with each other, allowing one to breed for generations to select for new and desirable traits. 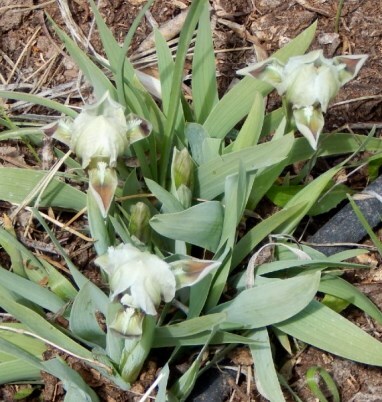 Each one of these families is a reservoir of genetic potential for the irises of the future, so it is important that each include a robust range of genetic material from as many species as possible. Although most hybridizers will continue to work with the newest garden varieties in the hopes of creating improved varieties that will win the appreciation of gardeners and judges, it is also important to expand and explore the full range and potential of each family by working with lesser-used species and different approaches to combining them. I sometimes joke that my hybridizing goal is to "make everything smaller" - arilbred medians, arilbred dwarfs, diminutive tetraploid medians, and the daintiest MDBs possible. It has often been the "little ones" in each family that have been bypassed by conventional hybridizing programs, and whose potential has been left largely untapped. I have a video presentation that gives an overview of my hybridizing work in the six fertile families. I hope your enjoy this website and find it interesting and informative. I welcome correspondence on all the topics presented here. New AIS blog post Arilpums: Fertile Arilbred Dwarfs! 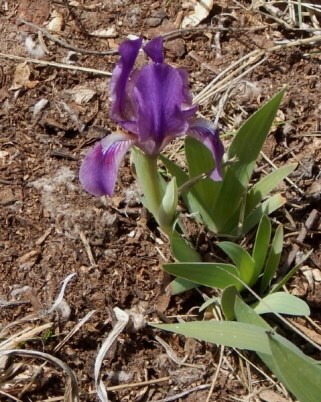 New article What is a Dwarf Bearded Iris?